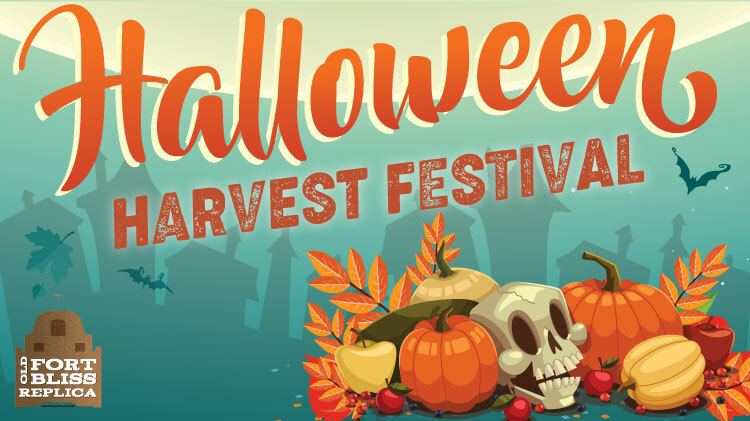 Date: Oct 26 2018, 5 p.m. - 9 p.m.
Come dress in costumers and enjoy a fun evening at the Old Fort Bliss Replica with lots of fall activities! Rides, lawn games, Trick or Treating, Face Painting, Fairy Garden Display, Farmers market food, and more! Pumpkin Patch $5 each for pumpkin while supplies last. Food and beverages for sale! There will be a FREE Haunted Shuttle between Monster Bash and Halloween Harvest Festival that will run back and forth from 6pm until 10pm.